The Oaks Funeral Home, Ltd.
You will always find a caring staff member from The Oaks Funeral Home ready to help you. You can be assured we will be flexible and listen to your individual funeral wishes, taking extra care to accommodate your own family’s special customs, faith, and heritage. The Gibbons family owns and operates The Oaks Funeral Home in Itasca, which was founded in 1987. The year was 1935 when Tom Gibbons’ father opened the first Gibbons Funeral Home on the west side of Chicago. Today there are three Gibbons Funeral Homes, all family owned and operated. The Elmhurst location was founded in 1960, and the firm on the northwest side of Chicago was established in 1973. We at The Oaks Funeral Home believe it always makes good sense to shop around and compare before you make any major purchase. Getting the greatest value for what you spend is important to everyone. So as a public service we promote the philosophy that an educated consumer is most often a satisfied consumer. Planning a funeral is probably one of the most significant events in anyone’s life — for emotional, family, and financial reasons. Yet those responsible for planning a service for themselves or a loved one usually spend very little time choosing the funeral home and making the arrangements. Whether in your time of need or before the need arises, it is important to investigate your options. Visit facilities in the area and compare services. Ask about price. Only then can you be sure to get the most — the best — for your money and family’s comfort. In all our years of service, we have worked hard to never have a dissatisfied family. That is because we believe everyone is entitled to the finest personal service, without ever having to pay any more. It is this commitment to compassion and value that has guided our family since 1935. We are proud to offer every family the highest quality services possible — at a price every family can afford. 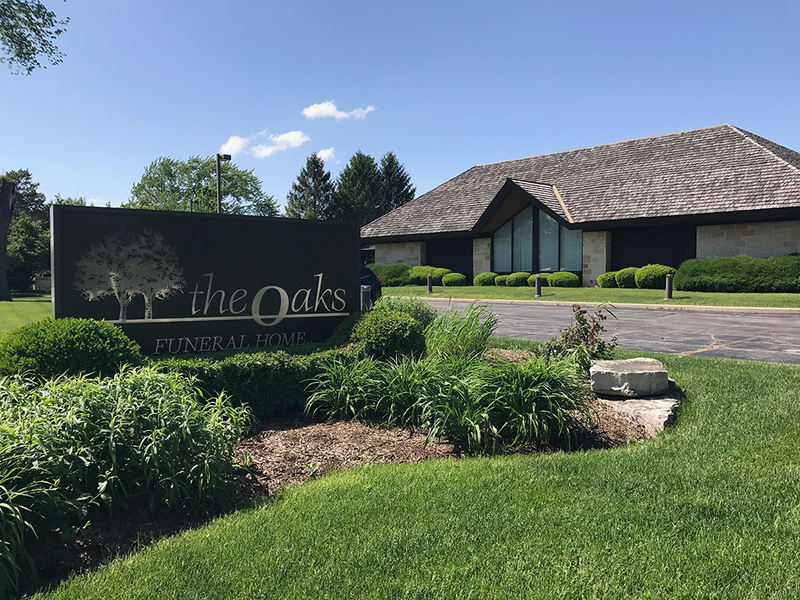 You are invited to visit The Oaks Funeral Home at any time convenient to you. We are so confident in the quality and value we provide that we urge you to compare our services with others. When remembering those you love, we invite you to remember The Oaks Funeral Home. Your home when you need us. Copyright © The Oaks Funeral Home, Ltd. All rights reserved.